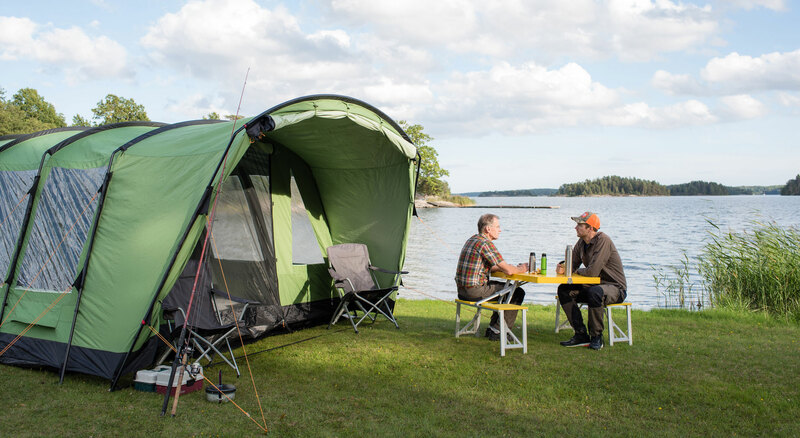 Enjoy a new level of tent camping comfort with Crua Outdoors! Our revolutionary line of high quality insulated tents are all about getting a better night's sleep in any weather. Our Crua Tri (3-person) and Crua Loj (6-person base camp) are thermally and acoustically insulated, meaning that both tents are a comfortable refuge that keep you warm in the winter and cool in the summer. The Adirondacks and Crua's Insulated Tents we're made for each other. Leave your old tent at home, rent a Crua Tri or Loj, and make your next Adirondack adventure more comfortable with Crua Outdoors. Want to learn more about our tent design? Visit our website: www.cruaoutdoors.com Starting summer 2018, you can rent your very own Crua Tri or Crua Loj for your Adirondack camping adventure! We offer two levels of service: Tent Rental You can rent your tent for pick-up and drop-off at our North American headquarters in Saranac Lake. Tent Rental and Pitching Want the most seamless experience? Let us pitch your tent for you upon arrival and take it down after you leave! Currently offering tent-pitching services at the following campsites: - Fish Creek Campground - Rollins Pond Campground - Floodwood Road campsites (not a campground, drive-up, first-come-first served sites) - Other camping locations might be accommodated depending on schedule/location. Contact our office at 518-354-3987 to learn more. Please note, campsites must be reserved or secured by the guest. Crua tent rental does not include a campsite. If you do purchase our Pitching Service, please be advised that a staff member will be in contact to discuss related details. If cancellation occurs less than 30 days prior to arrival, reservation is non-refundable. Reservations cancelled more than 30 days in advance are fully refundable. 100% of reservation amount collected upon booking. Tents must be picked up at our Saranac Lake office between 9am and 5pm on the date of arrival unless pitching service has been purchased or off-hours pickup arrangements have been made. Upon reservation you will be contacted by staff to set up a pickup time or to get more info on your campsite if pitching service has been purchased. A tent may be returned at anytime on the date of "Check Out" (return date). If returning when a staff member is not present, your security deposit will be held until staff can inspect the returned Crua Tent. Any damages found during inspection will incur a fee (cost at staff discretion) and will be charged to the card on file for the security deposit. Dogs and cats (only) are welcome as long as they are well behaved. Any damage deemed to be caused by an animal guest will incur a fee charged to the card on file (security deposit). SITE POLICY: Please note that Crua cannot purchase a campsite for you. You must purchase your own campsite, even if you are using our pitching service. If you are planning to camp at a free, first come, first serve campsite (i.e, Floodwood Road, Little Green Pond), please note that Crua Outdoors cannot guarantee a site at that location. SMOKING: All Crua Tents are non-smoking units. Renters are responsible for any damage or odors resulting from cigarette smoke, or any open flame in a Crua tent. Fees for disregarding this policy will be charged to the card on file (security deposit) at the discretion of Crua Outdoors staff. If a tent is deemed unusable as a result of smoking odors or smoke/fire damage, the full retail price of the tent will be charged to the card on file (security deposit). WAIVERS: Liability waivers must be signed by all members of your party. Damages: A valid credit card must be presented upon pick up/pitching delivery. A copy of this card will be kept until departure in case of damages. Our tents are family tents! Kids are always welcome. Any children staying in Crua's rental products must arrive at pickup with a liability waiver signed by a parent or legal guardian.